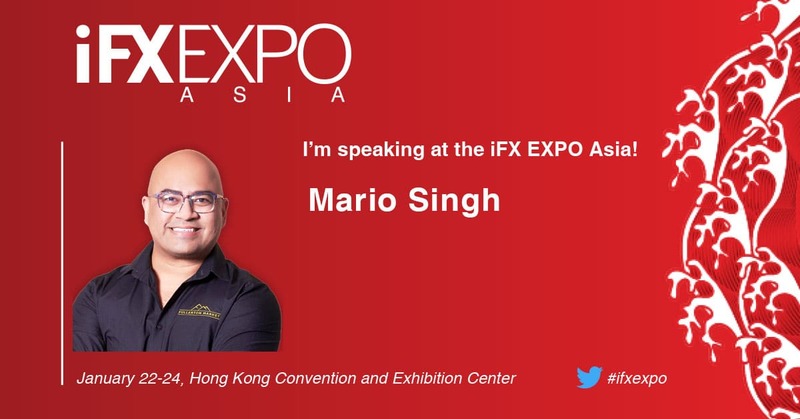 Mario Singh and Ray Barros will be co-hosting a panel at the upcoming iFX EXPO Asia 2019. The iFX EXPO Asia 2019 is right around the corner, taking place from January 22 to 24 at the Hong Kong Convention & Exhibition Center (HKCEC). With the full agenda for the event now live, attendees can learn more about a wide range of panel discussions and workshops. 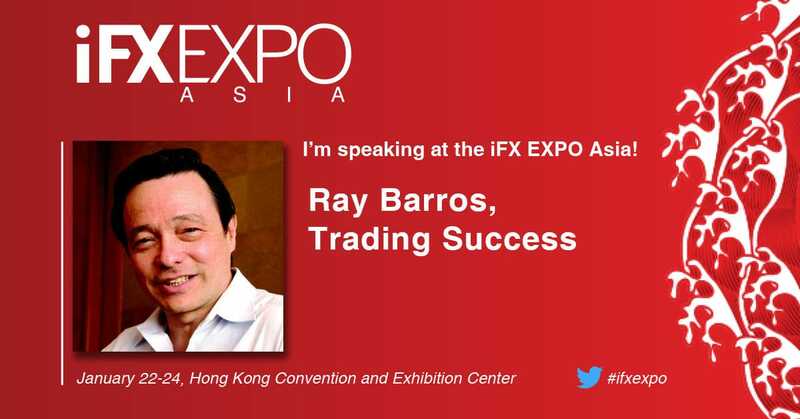 This includes Mario Singh and Ray Barros, who will be co-hosting a panel on Trading, Agility, and Success at iFX EXPO Asia 2019. The panel will cater specifically to retail traders, helping delve into the most important trends, strategies, and techniques in the space. Moreover, in their talk, they will share lessons about what it takes to be a winner, how can one achieve consistency in dynamic markets, and why the psychology behind successful trading is important for brokers and industry participants alike. Ray Barros is a professional trader, fund manager, author, and educator. Since he started trading more over two decades ago, his track record has garnered a staggering 25 percent per annum return on a compounded basis. As the author of ‘The Nature of Trends,’ Barros has been regularly featured in regional newspapers and publications, including Sydney Morning Herald, Your Trading Edge Magazine, Business Times, and Smart Investor. His recent work focused on his unique trading philosophy, including how and why he got into trading, and what advice he would give to those wishing to would be traders and investors. By extension, Mario Singh is himself an accomplished industry veteran and a passionate author. Finance Magnates recently reviewed his new book – Secret Conversations with Trading Tycoons. He has regularly appeared in the media, authoring several publications while also being a mainstay at traditional FX events. With an impressive string of endorsements from some of the industry’s elite, Singh represents the ideal combination with Barros in what promises to be an inspirational and memorable panel. Will you be attending iFX EXPO Asia 2019? Beyond this signature panel discussion, iFX EXPO Asia 2019 appeals to all elements of the forex industry, as well as banks, affiliates, introducing brokers, and white label partners. Hosted by Finance Magnates, the expo has quickly developed into one of the largest series in Asia. Hong Kong has served as a financial powerhouse for the region and is home to numerous, well-established financial services firms. In a global business environment, Asia has operated as a major arena for FX and CFD trading with many financial brokerages around the world looking to expand their reach into Eastern Markets. Heading into 2019, this trend is even more pronounced, showcasing the fintech capabilities and other innovations in terms of trading technology. First-time attendees or veterans are encouraged to familiarize themselves with the newly published agenda for the event. If you have not already done so, make sure to reserve your seat today!